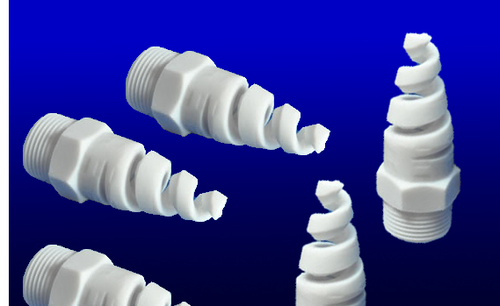 Our range of products include ptfe nozzle. PTFE Nozzle is highly recommended by our customers’ for its high tensile strength and unsurpassable quality and durability. This nozzle is made available in glass, carbon, and bronze and is non-abrasive. Our prime goal is to provide consistent customer satisfaction and in order to achieve this we use advanced technology and meet the gradually increased new demands in the market by our customers.